In case the 24 entries weren't enough to clue you in, i'm going to go on the record now and say that I LOVE Chinese food. If you ask me one of my all time favorite restaurants, I'd easily tell you that it's Harbor City in Cebu.. A simple restaurant known for its Dimsum. 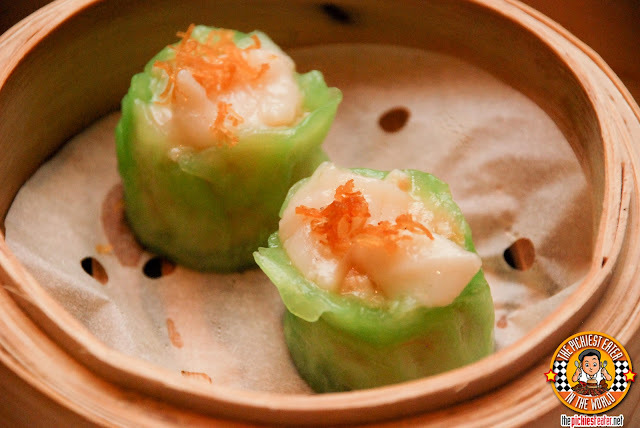 I'm always on the look out for amazing places to get some Siomai, Steamed Spareribs and Spring Rolls. 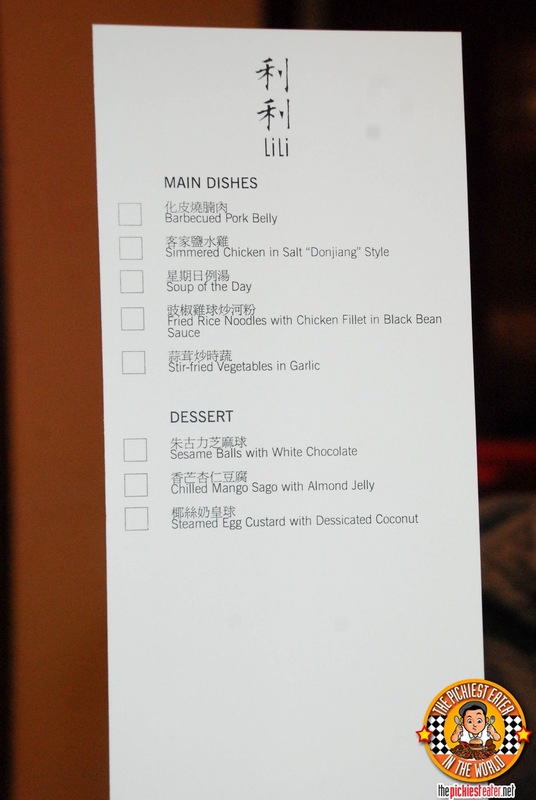 So when I got the chanceto try the Dimsum Eat All You Can of Li Li at Hyatt Hotel and Casino, I knew that was one opportunity I couldn't miss. As you would expect from a hotel the caliber of Hyatt, the place is absolutely gorgeous. 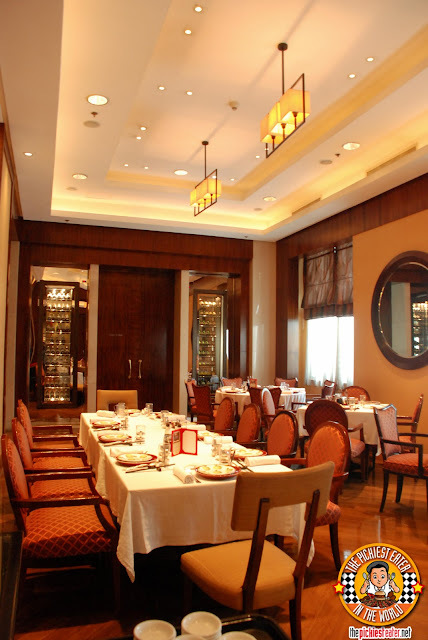 Elegant fixtures with touches of Oriental tones, the dining area imbibes a luxurious atmosphere, without feeling too stiff and constrained. In other words, a nice place for a family meal. 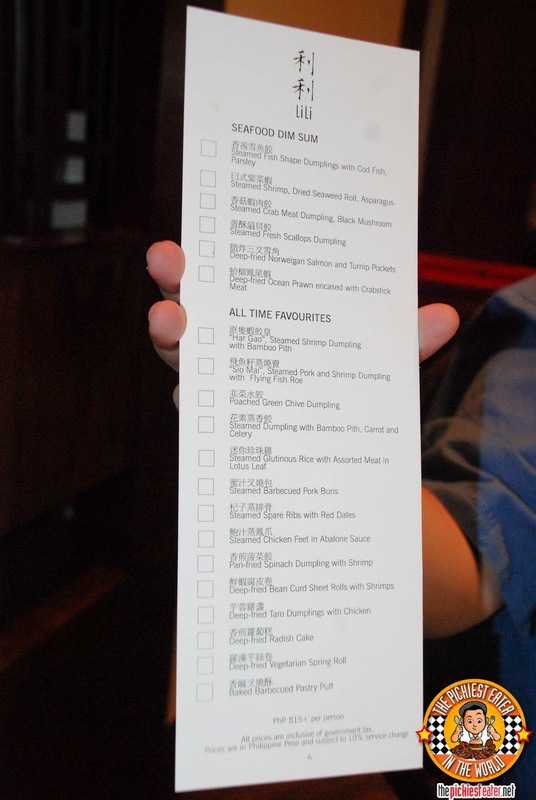 They gave Rina and I a "menu", where we mark the dimsum items that we would like to order. The extensive list includes Seafood Dimsum, All Time Favorites, Main Dishes and Dessert. Everything sounded so delicious, it nearly drove me insane, not knowing where to start. To kick the meal off, lemme start with what I didn't like. Perhaps the dish that I liked the least was the Steamed Fish Shape Dumplings with Cod Fish. Although it was creative in its design, flavor-wise, it wasn't anything special. 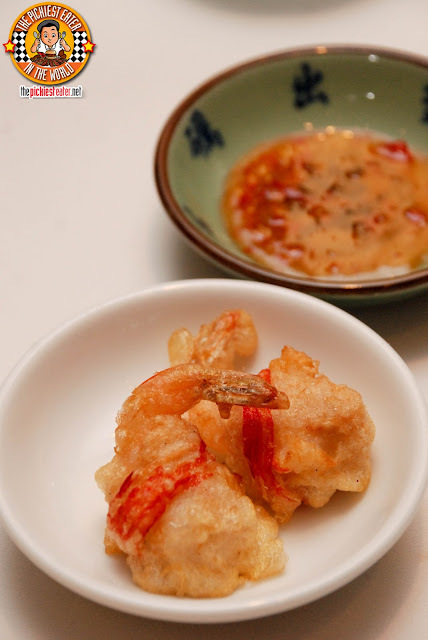 Rina ordered the Deep Fried Prawn encased with Crab meat. She polished it off quickly, as she does with any shrimp dish. 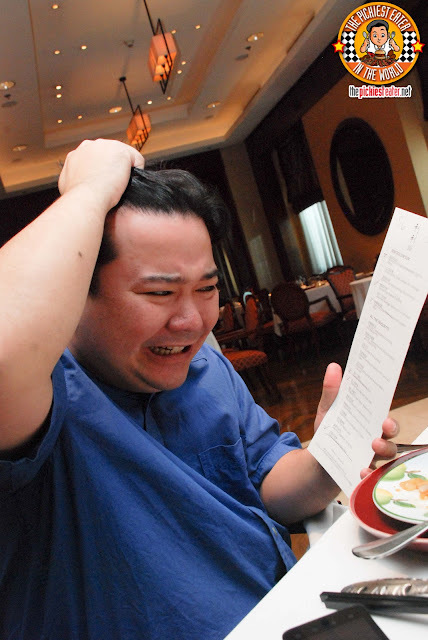 I don't eat shrimp nor crab though, so I didn't try it. 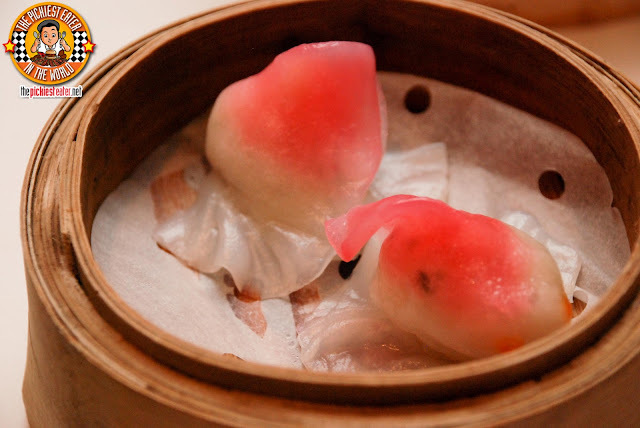 The best thing Rina had that day, however, was the Steamed Fresh Scalloped Dumpling. She must have had around four orders of these bad boys. Scallops aren't my thing though, so I left it all to her. The Steamed Pork Siomai was easily one of the best I've ever had. The dumpling was packed with juicy pork meat, and a bit of shrimp and fish roe. Although I was looking for some Spare Ribs with Tausi, I instead got "Spare Ribs with Red Dates", and it proved to be just as, if not even more delicious. 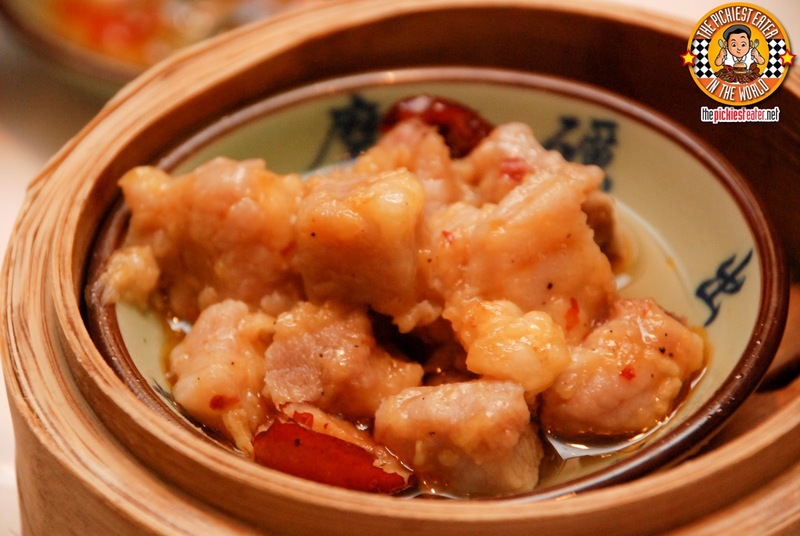 The concept is basically the same, with some succulent pork ribs steamed in an aromatic sauce, but instead of salty black beans, it's bathed in a red date sauce, which gave it a subtle tone of sweetness. It was so good, Rina had to order rice (Not included in the Dimsum All You Can), because the mere thought of the sauce mixed into her steaming white rice left her drooling. Amazing. It may sound weird to go to a hotel and order siopao when you can get some at your local 7-11, but Li Li's Steamed Barbecued Pork Buns is on another level. 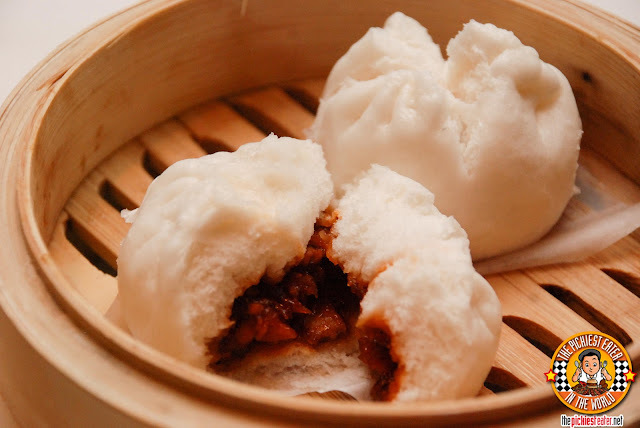 The Mantou was incredibly soft, and the Barbecue pork had a phenomenal flavor to it, that was a delightful mix of sweet and savory. One of my favorite things on their Dimsum menu had to be the Baked BBQ Pastry puff. You could give me a whole bag of this, and I'd be devouring it like it was popcorn. 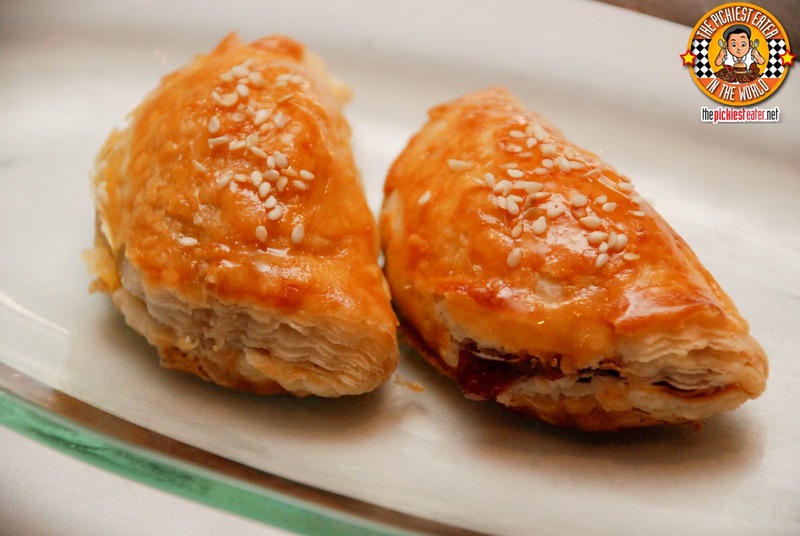 The puff pastry was baked to golden perfection, and served as the perfect casing to the tasty Barbecue meat inside. 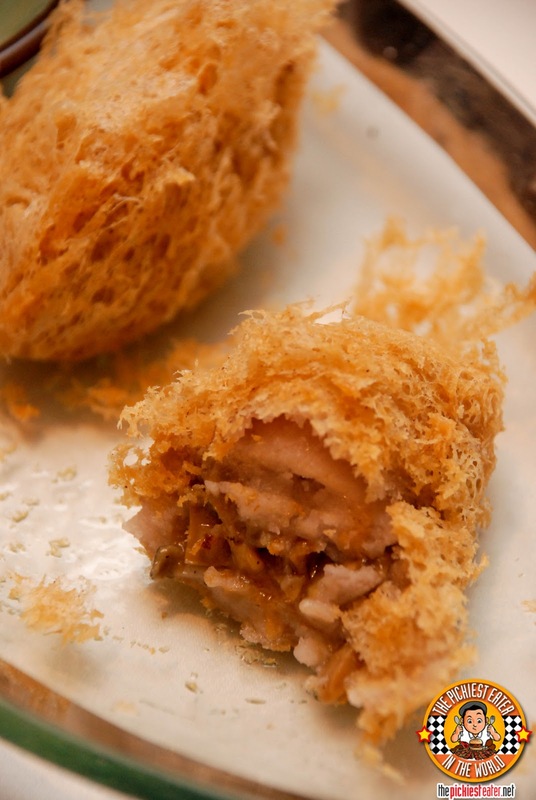 I didn't expect to enjoy the Deep Fried Chicken Taro Puff as much as I did. 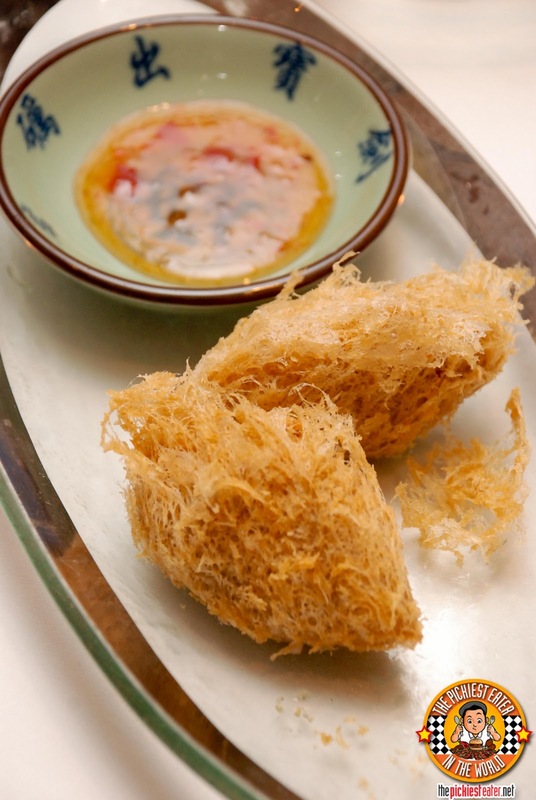 The Football shaped flaky puffs were deep fried beautifully. But the main attraction was the meat mixture inside. Rina wasn't too fond of the texture, but I loved it. The flavors of the taro and chicken coalesced to become a stunning dish. 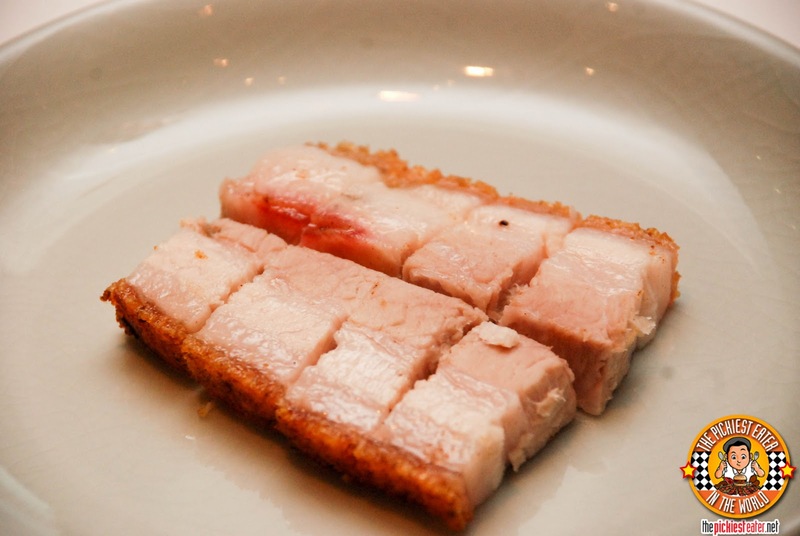 Though the lunch was supposed to be all about the dimsum, I couldn't help but order the Barbequed Pork Belly as well. The meat was incredibly tender, and the skin had a beautiful crisp, with the skin having just the right amount of saltiness that leaves your taste buds looking for more. 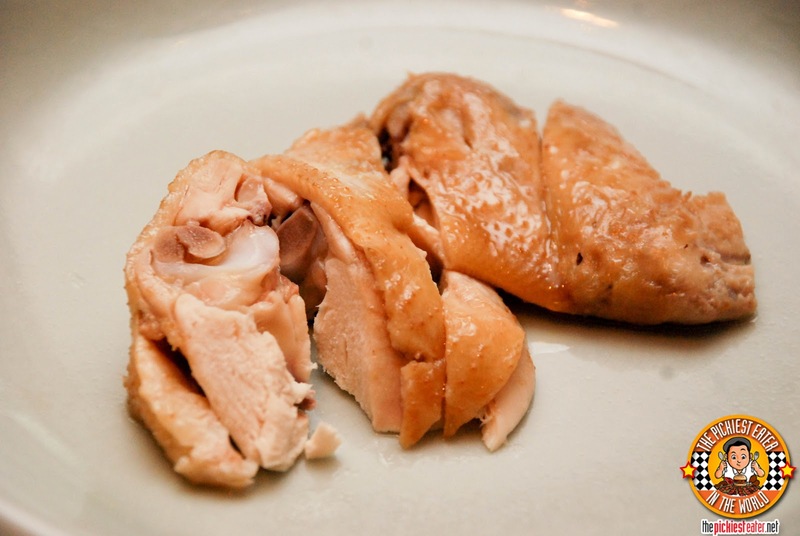 We also ordered the Simmered Chicken in Salt, "Donjiang Style", which we really enjoyed as well. The chicken meat was very moist and delicious, but it got me looking for ginger sauce (I know it's not the same dish though hehe). Since our meal didn't come with Rice, I ordered their Fried Rice Noodles with Chicken Fillet in Black Bean Sauce, and found it to be rather enjoyable. 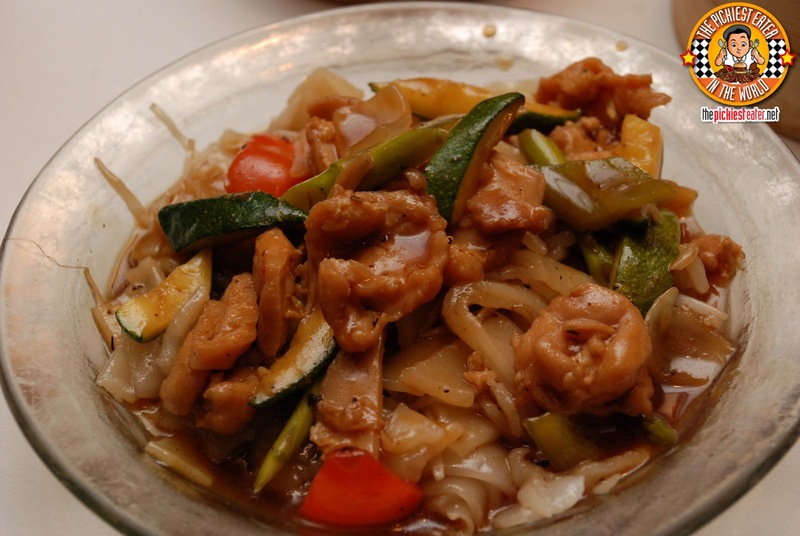 The noodles were soft, and had a healthy helping of tasty chicken meat bathed in the Black Bean sauce. The First dessert we tried was the Steamed Egg Custard with Dessicated Coconut. I honestly wasn't a fan of this. 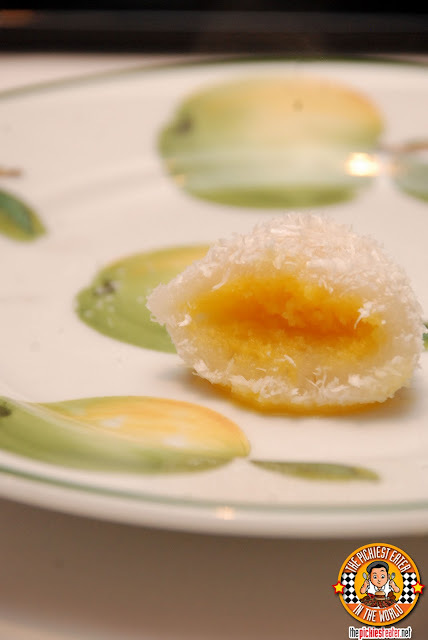 The inside was soft and gelatinous, but I really couldn't make out the flavor of the custard, nor the coconut. Had I not been afraid of my hyper acidity, I would have taken this bowl of chilled Mango Sago with Almond Jelly and downed it myself. 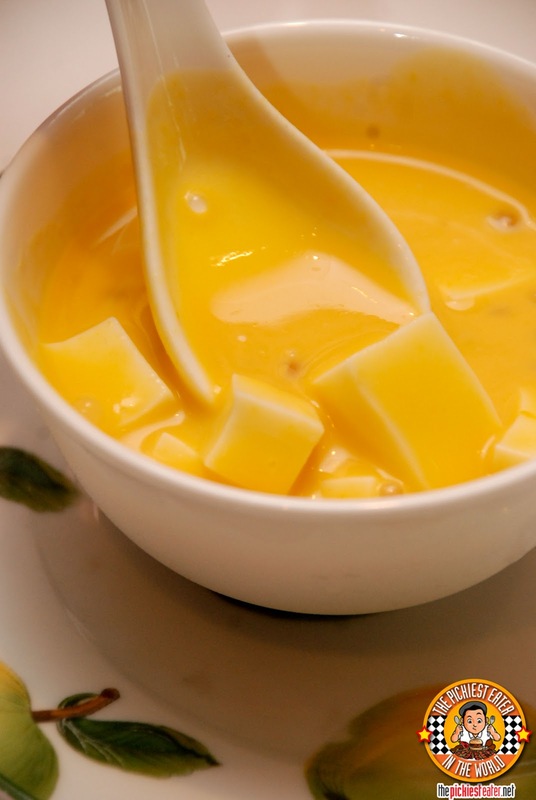 It had a rich mango cream sauce, that had the right amount of tartness to it that is tempered by the sweetness of the Almond Jelly. One would think that this would be the ideal way to end a meal, right? 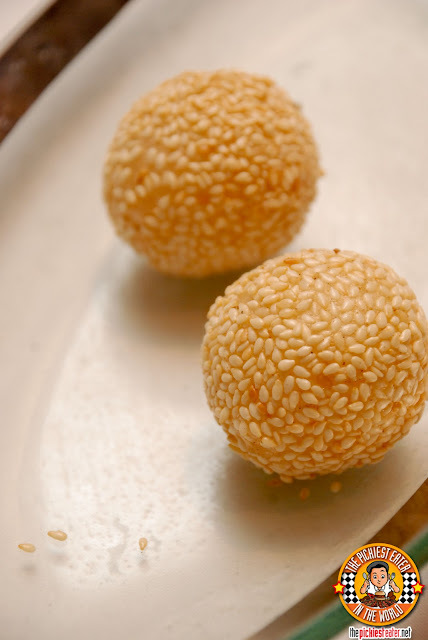 When you go to Li Li, you must try the the Sesame Balls with White Chocolate. I'm glad Joy of Li Li convinced me to order one piece each for Rina and I. I could have very well put my marriage in jeopardy thinking that Rina and I could share just one. All it takes is one bite for the magic to happen. 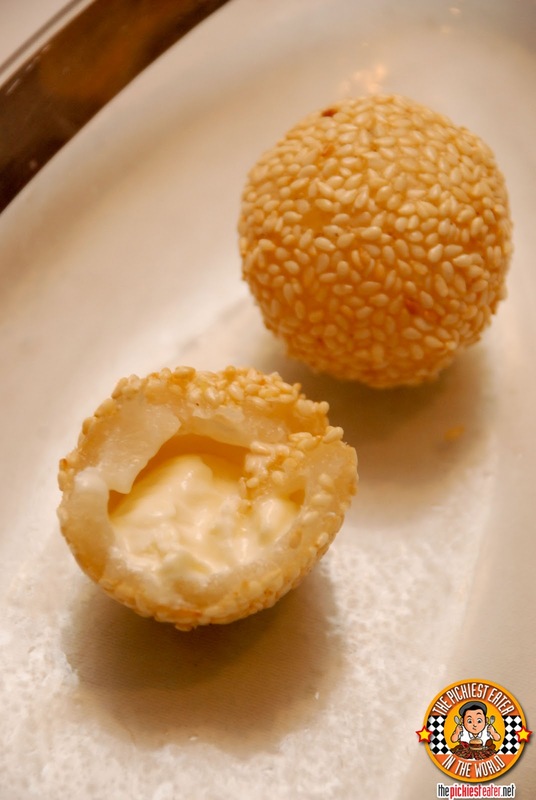 You cut through the sesame seed coated gelatinous shell, and you get into the immaculately white chocolate filling. THIS was the perfect way to end the meal (Well, at least three or four of these, that is). 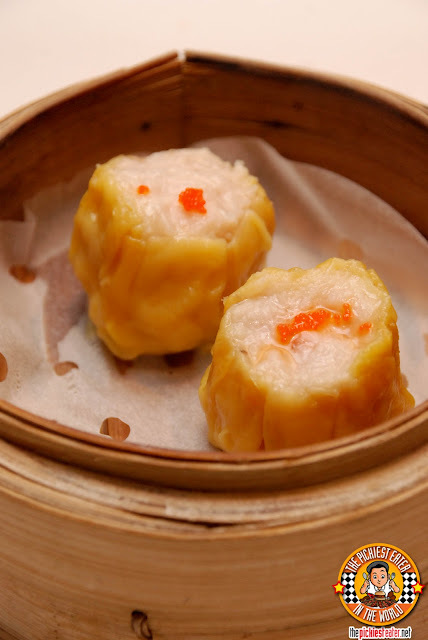 Considering you get amazing dimsum dishes in a premium hotel atmosphere for less than One thousand, I must say that the Eat All You Can Dimsum Buffet of Li Li is reasonably priced at P815+ per person. 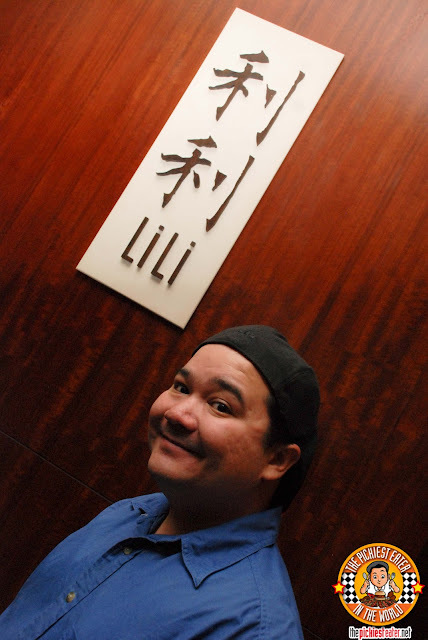 Many thanks to Joy for taking such good care of Rina and I during our lunch at Li Li! We had a wonderful time, and we'll be going back for the Sunday Yum Cha soon! A special thank you to Laurie, as well! Looking forward to meeting you soon! I've got good news for you all! From now until June 30, 2013, when you go to Li Li, and mention to them that you read about their restaurant from The Pickiest Eater, you'll get a a FREE GUAVA ICED TEA which is worth P300 NET! You should! it's very reasonable.. I really want to go back as well! 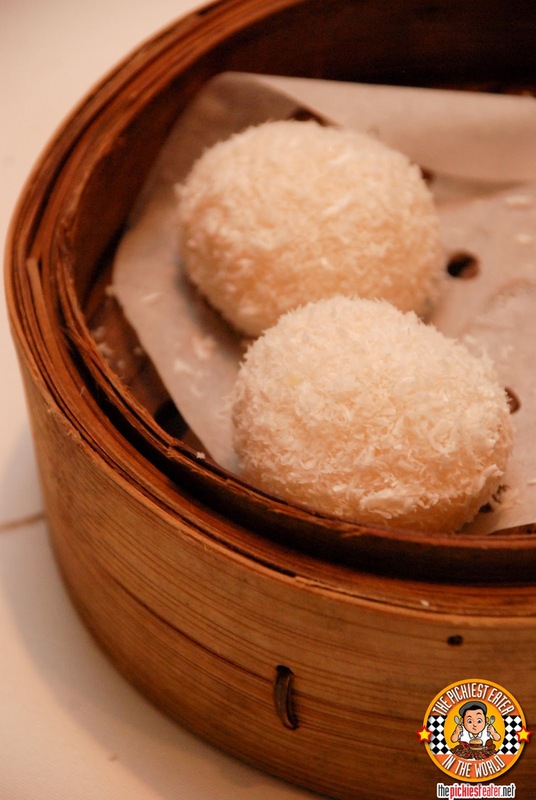 Wow, all those yummy dimsum is making me hungry!